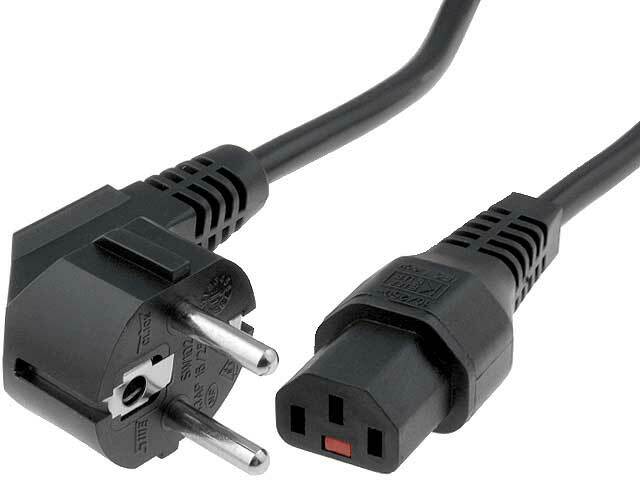 IEC C13 plug power cables offered by TME are used mainly to supply PC hardware. They are also used to provide electrical energy for measuring or medical instruments, where reliability is of crucial importance. Supply continuity depends not only on the energy source, but also on cable – appliance connection reliability. For that purpose, different types of disconnection locks are used in order to prevent accidental disconnection. An example of such solution is SN311 – 3/10/2BK-LCK cable, whose IES C13 connection is equipped with a latch - type lock of a 3-pin IEC plug ensuring protection against accidental disconnection. The IEC C13 plug fits a standard IEC C14 socket. The lockup is performed by automatic clamping of the socket in the IEC C13 plug on a middle (protective) IEC C14 socket’s pin, whereas, it is released after pressing a press-button.